Conversation with Iain Boal, March 21st at Birkbeck. 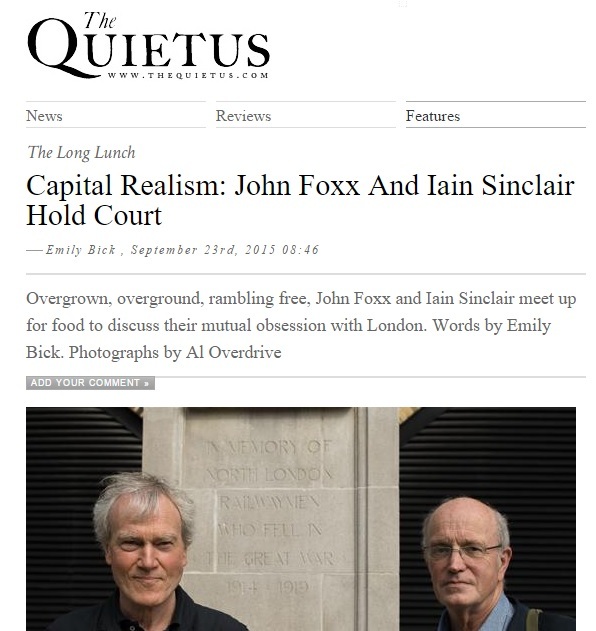 The writer, poet and film-maker Iain Sinclair will discuss – in conversation with Iain Boal, social historian and Fellow of the Institute of Humanities – his four decades of chronicling the life of the capital. More than any contemporary author Sinclair’s work is suffused with the spirit of place, of London as a palimpsest, in particular the environs of Hackney, his home since the mid-60s. Sinclair’s books include Downriver, Rodinsky’s Room, London Orbital, Lights out for the Territory, London: City of Disappearances, Hackney: That Rose-Red Empire. There is also a audio version of the interview which can be launched from the page above.